Forty years ago, not even the car salesman knew the actual price of the car he was selling. Today, a buyer can come armed with everything from invoice price to crash test ratings. So why is the insurance industry still operating like it's 1970? 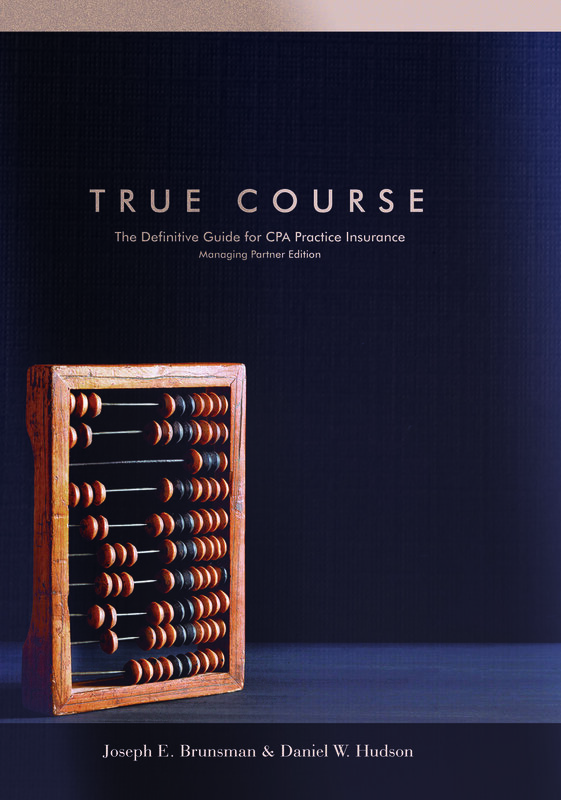 The purpose of this book is to change the way CPA firms buy and utilize their insurance services on a national level. In short, you have an easy to read guide from industry insiders; free of jargon and anecdotal stories. We wrote the book we wish we had, and gave it to you. We sell soft and hard cover editions. Our hard cover edition is specifically designed for managing partners with a "best practices" section at the front of the book.